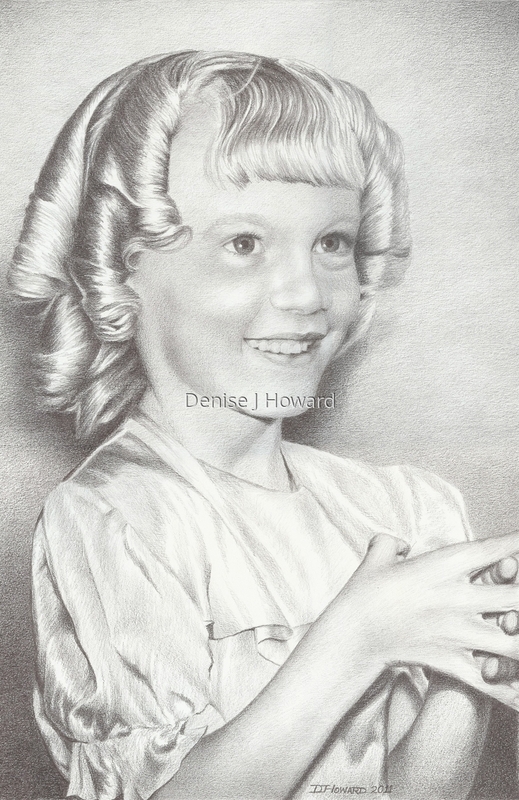 An example portrait commission, done from a very faded and discolored old family photo provided by my client. I first had to doctor it in Photoshop to gain enough detail from which I could work. Graphite on drawing paper.